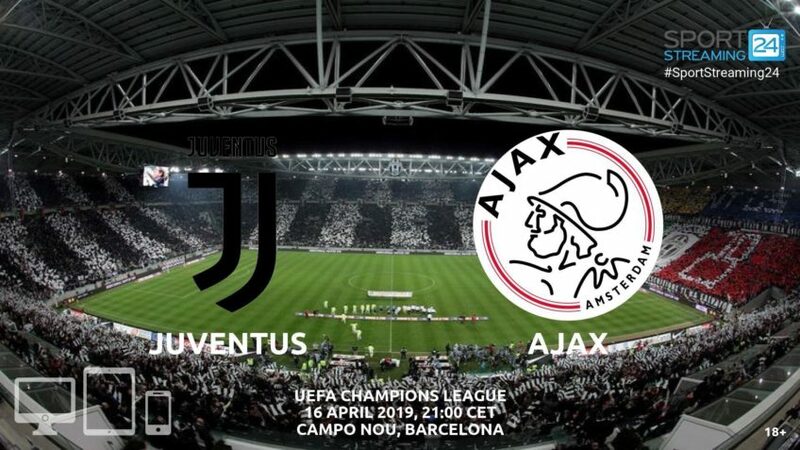 Juventus host Ajax in the return leg of the Champions League quarterfinals. The two teams were held to a 1-1 draw in the first match. Juventus secured a 1-1 draw at the home of Ajax, taking a big step towards the Champions League semi-finals. Cristiano Ronaldo scored a late first-half goal, breaking the record, as the most successful goalscorer at the home of the Eredivisie champions. In the Serie A, a 2-1 defeat against SPAL was not enough to claim mathematically the title. Massimo Allegri rotated his squad, giving his key players a rest following the return leg of the Champions League. The Italian side is unbeaten in five home matches against Ajax, with overall only two defeats in 13 meetings. In the last 10 games in the competitions, only once has failed to score a goal. Coach Massimo Allegri has three players missed the last games, all of them will be assessed. Central defender Chiellini, midfielder Can, winger Douglas Costa remain all doubtful. Ajax made a good performance in the first leg but paid a lot of his inexperience. He had 2-3 clear chances to open the score, it was caught on the counter-attack and equalized in the opening minutes of the second half. He must put great effort in the Allianz Stadium, to take the progress in the last 4 of the competition. In the Eredivisie made an outstanding performance, with a 6-2 home win against Excelsior. It’s still the favourite to retain the title, as is level on points with PSV but as better goal difference. Only one defeat on the last 12 matches in all competitions, with 10 wins and one draw. Scores at least one goal in the 11 out of 12 recent games. Coach Erik ten Hag has to cope without full-back Tagliafico, as the Argentinian is suspended. Cristiano Ronaldo is again the main man to watch, with the Juventus superstar scoring once again in the Champions League. The Portuguese is the most successful player in the competition, netting 125 goals and lifting the trophy five times in his glorious career. Winger Hakim Ziyech has to step up his a good performance, leading Ajax to another big result. The 26 years old winger has the ability not only scoring but creating chances and spaces for his teammates.